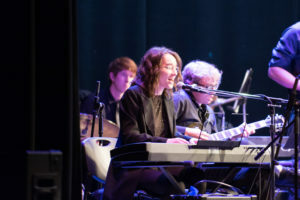 The Music Education program at Calhoun Community College provides accredited, transferable, university parallel training to prepare students for a wide range of musical careers, or develop musical skills for personal interests. Studies in music at Calhoun are of superior quality, taught by professional musicians. All private lessons (“applied study”) are taught by instructors who are specialists in voice, piano, organ and other instruments. Recognized as a premier music program among two-year colleges in Alabama, many opportunities are available to Calhoun students to attend professional performances of operas, musicals, ballets, recitals, and concerts during each academic year. Students perform each semester in student recitals and present a sophomore recital to complete their studies. This program is designed for those planning careers in music. Voice or an instrument is elected by the student as an applied major. An audition will be held. Piano is required for all who are not keyboard majors. A recital in the applied major is required at the end of the sophomore year. Students are required to complete four credits of music performance electives and/or secondary applied voice or instrument. A faculty advisor should be consulted before these courses are scheduled. For this program, scholarship auditions are held each March. Scholarships are available for voice, piano, guitar and other instruments. 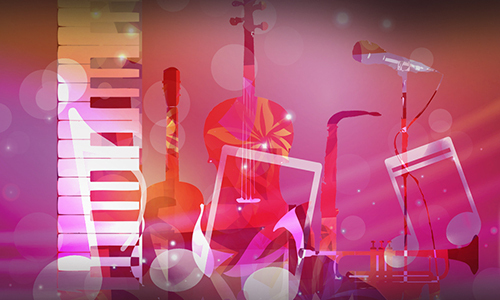 Recipients of performing arts scholarships are not required to be music majors. Recipients are, however, required to perform with ensembles to which they are assigned and take other music courses as assigned. The Frances P. Moss scholarship is given in honor of Calhoun music instructor Dr. Frances Moss, who has taught voice and conducted internationally recognized choirs since 1961. The Joan A. Goree scholarship was established by Dr. Frances Moss in honor of Dr. Goree, retired Calhoun voice instructor. The Fine Arts Division chair awards this scholarship to a deserving student majoring in Fine Arts. These scholarships are to assist students who plan careers as vocalists and/or choral conductors. All music classes are taught at the Alabama Center for the Arts, located in Downtown Decatur. Housing one of the finest recital halls in the state, this building is the site of student, faculty and professional performances as well as ensemble concerts. Class instruction is enhanced by audio, video and computerized interfaces, an electronic piano lab, practice rooms and comfortable classrooms. Exceptional ensembles offer training and experience in performing and studying the finest musical literature. If you would like to pursue a career as a professional performer, choral director, band director, church musician, music scholar, composer/arranger, elementary music school teacher, orchestra conductor or any other musical career, Calhoun Community College will provide a sound foundation in helping you to attain your career objectives.